CEO Report HanDreamnet Co., Ltd.
HanDreamnet Co., Ltd (herein HDN) is the first network security company who developed a dedicated security ASIC called Multi Dimension Security. HanDreamnet CEO, Mr. Oh Hong Seok has been focusing on development of network security equipment while other global vendors have been focusing on software base security such as IPS, NAC, and Firewall, which still has a lot security holes or latency. One of the market penetration strategies is the free evaluation on valued customer sites for couple of weeks and it can be detected malware, information breaches, and attacks by VNM or even CLI. This has been a very good approach to convince IT managers who have never seen the malicious traffic in their network. "We're not telling to the clients that HDN network security switch is good and much advanced comparing to other network switches. Instead, we're proposing clients to experience HDN security solution through the live demo or the real test in the live network. Clients can see a lot benefits through these tests and also have an opportunity to compare it with other vendors." HDN CEO Mr. Oh said. 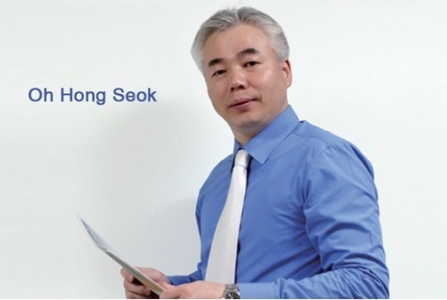 HDN has a lot clients in Korea since 2007 and did ODM business with Samsung since 2009. In Korea, HDN Network Security Switch made HDN to become a leading secuirty company. Mr. Oh made a decision to start a network security business in Japan since 2008 and had a great success until now. Mr. Oh Hong Seok, HDN CEO said, "The local market will be saturated before 2016 so I want to go out with the same security solution because the feature and function will also be needed by other country". To become global security leader, HDN set up a legal sales entity in Toronto - March, 2012 and opened sales representative offices in Australia - May, 2012 and expect more than USD3M until 2014. In addition, he'd like to focus on East Asia Market, which result in a couple of partners from Thailand, Malaysia, and Indonesia.
" HDN is not only selling the solution but also providing consulting to the companies who have experienced a security damage. 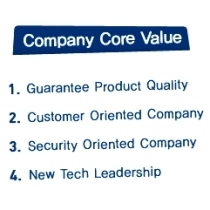 HDN, as security leading company wants to grow with the clients together." he said.